← Do Things Fall Apart When Jesus Meets an Indigenous Culture? 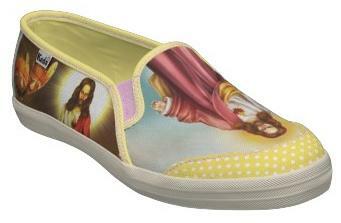 Does Jesus Have Your Sole? 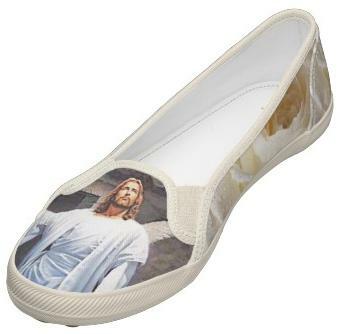 Jesus footwear… How trendy… Now not only can you walk in the footsteps of Jesus, you can wear him on your shoes, too. 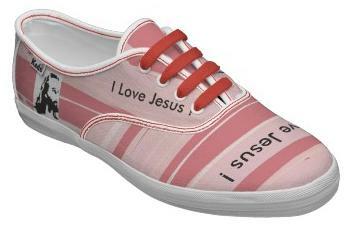 This entry was posted in Jesus Kitsch and tagged Jesus shoes. Bookmark the permalink.